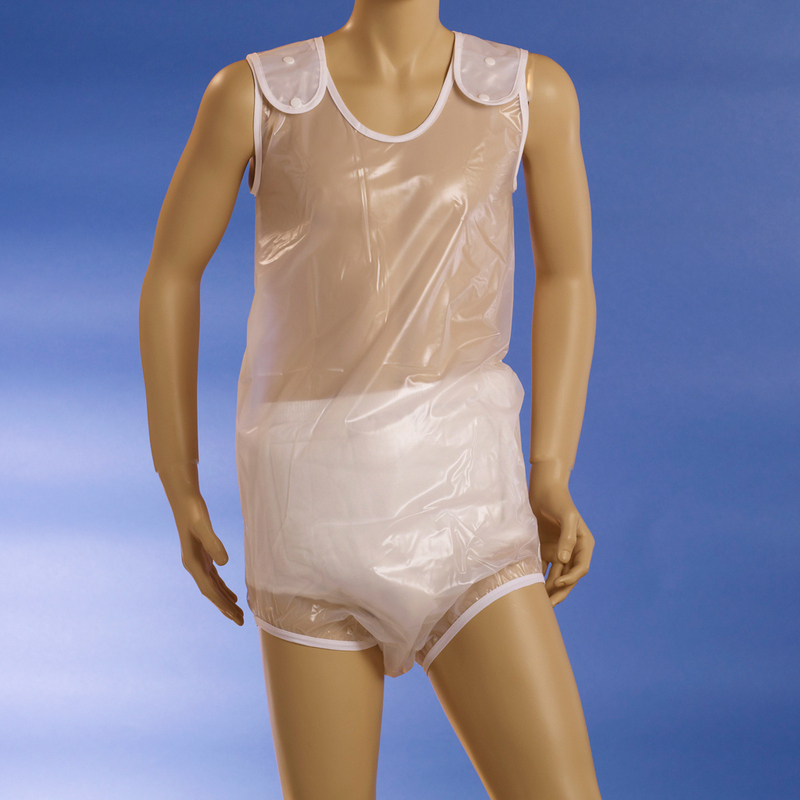 Non-Wicking adult plastic Waterproof Pants continue to be one of our bestselling waterproof diaper covers. The reason for their popularity is that some people find that when the cloth wound elastic of standard elastic becomes wet there is a transfer of wetness to outer clothing or bedding. To solve the problem of wicking of wetness to dry clothing or bedding we offer three different style waterproof pants that stop this from happening. The No-Wick styles enclose the elastic by wrapping the waterproof material over wide flat elastic. The seam is on the outside so that the waterproof material is held flat against your skin forming a seal controlling leaks and making No-Wick styles more comfortable to wear for extended periods of time. Select from long lasting pure sheet polyurethane, breathable laminated polyurethane, or soft conventional vinyl. Sizing is different than convention fold over style elastic, please check our size charts and measure the person who will wear these pants with a cloth tape measure for the best fit. We offer a choice of long wearing polyurethane and polyurethane laminate waterproof pants as well as standard vinyl all in the Non-Wicking design.